DULLES, Va., Mar 4, 2002 /PRNewswire-FirstCall via COMTEX/ -- Orbital Sciences Corporation (NYSE: ORB) today announced that The Boeing Company (NYSE: BA) has selected the company for a contract, valued at $900 million or more over the next eight years, to develop, test and produce ground-based boost vehicles for America's ballistic missile defense system. Part of the U.S. Defense Department/Missile Defense Agency's (MDA) Ground-based Midcourse Defense (GMD), the rocket-propelled boost vehicles will carry advanced exoatmospheric kill vehicles (EKVs) that are designed to locate, track and destroy long-range enemy missiles in flight, protecting all 50 States from future potential terrorist or rogue regime attacks. Orbital's contract will include an approximate $400 million development and test phase, to be carried out from 2002 to 2006 and, if approved, a follow-on $535 million production, deployment and support phase, to be conducted from 2003 or 2004 through 2010. According to current plans, a total of about 70 boost vehicles are to be built and delivered in the development and production phases of the baseline GMD program over the next seven years. "The GMD boost vehicle award is one of the largest and most important contracts in Orbital's 20-year history," said Mr. David W. Thompson, Chairman and Chief Executive Officer. "We strongly appreciate Boeing and MDA's confidence in our company's launch system capabilities and experience. We are totally committed to delivering reliable, on-time performance of all of our GMD program responsibilities," he added. The company's GMD vehicle is a silo-launched three-stage rocket derived from Orbital's Pegasus(R) and Taurus(R) space boosters, the world's leading small satellite launchers. Under its development and test contract with Boeing, Orbital will modify Pegasus and Taurus system designs and verify the resulting GMD boost vehicle's performance and operational features in a series of demonstration and test flights. 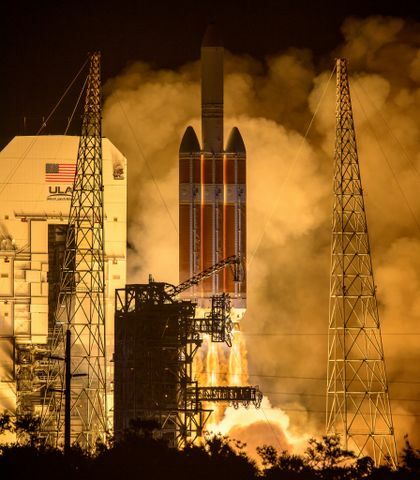 Orbital's Launch Systems Group (LSG) will carry out the GMD boost vehicle program, with its primary engineering and production staff in Chandler, Arizona. Other Orbital personnel in Dulles, Virginia, Huntsville, Alabama and Vandenberg Air Force Base, California, will participate in the program as well. Major company subcontractors for the GMD boost include ATK Thiokol, Teledyne Brown Engineering, Mission Research Corporation and Electro Magnetic Applications. "Our GMD boost vehicle work will build on Orbital's 20-year heritage of over 200 launch vehicles delivered or under contract for major U.S. Government and commercial customers," said Mr. Ronald J. Grabe, Executive Vice President and LSG General Manager. "Boeing's contract further expands our company's role in America's missile defense programs and strengthens our already excellent prospects for growth in the suborbital vehicle product area," he added. GMD has been in advanced development since 1998 and is based on technologies pioneered by MDA in the 1980's and 1990's. 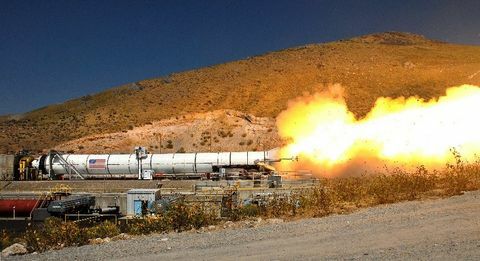 It is currently a research and development program incorporating extensive ground and flight tests to determine system performance against long-range ballistic missile targets. There have been three successful intercepts in five flight tests since 1999, with approximately 19 more scheduled to take place over the next several years of the developmental test program. While there has been no commitment to deploy the GMD technology, extensive testing efforts are scheduled to take place under operationally realistic conditions with the establishment of a new testbed in the central and northern Pacific Ocean areas, and a new testbed complex planned for Ft. Greely, Alaska beginning in 2004. Boeing serves as MDA's overall prime contractor and systems integrator for GMD, supported by Raytheon (EKV and ground-based radar builder), Lockheed Martin (missile-warning satellite supplier) and TRW (battle management and communications system developer). 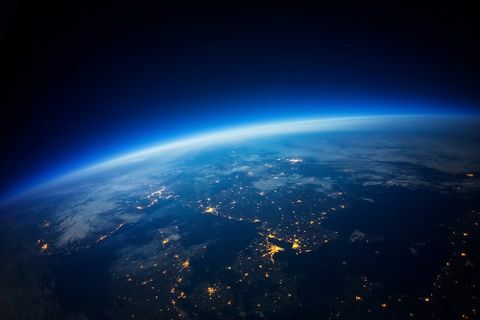 Orbital is one of the world's leading developers and manufacturers of affordable space systems for commercial, civil government and military customers. The company's primary products are spacecraft and launch vehicles, including low-orbit, geostationary and planetary satellites for communications, remote sensing and scientific missions; ground- and air- launched rockets that deliver satellites into orbit; and missile defense boosters that are used as interceptor and target vehicles. Orbital also offers space-related technical services to government agencies and develops and builds satellite-based transportation management systems for public transit agencies and private vehicle fleet operators. More information about Orbital can be found at http://www.orbital.com . Some of the statements in this release constitute "forward-looking statements" within the meaning of the Private Securities Litigation Reform Act of 1995. All statements other than those of historical facts included herein, including those related to the company's financial outlook, goals, business strategy, projected plans and objectives of management for future operations, new order trends and liquidity are forward-looking statements. Such "forward- looking statements" involve unknown risks and uncertainties that may cause the actual results, performance or achievements of the company to be materially different from any future results, performance or achievements, expressed or implied by such forward-looking statements. Factors such as general economic and business conditions, availability of required capital for Orbital and its affiliates, continued government support and funding for key space and defense programs, the financial condition of major customers, product performance, market acceptance of products, services and technologies, consumer demand, and dependence upon long-term contracts and licensing agreements with commercial and government customers may impact the company's revenues, expenses and profit from period to period. These factors and others related to the company's business are described in further detail in the company's SEC filings, including its Form 10-K/A. Orbital assumes no obligation to update any such forward-looking information. CONTACT: Barron Beneski, Public and Investor Relations of Orbital Sciences Corporation, +1-703-406-5528, beneski.barron@orbital.com .